Managing the logistics for a by-the-glass wine program can be complicated and expensive. There are a host of ever-present challenges: oxidation and spoilage quickly ruins wines; wrestling with corks interrupts the flow of a busy, high-volume shift; and dozens of emptied bottles a night swell your garbage and often end up in landfills. These days, more operators are making the switch to wine on tap—a cost-effective way to serve wine more quickly and easily to guests, all while ensuring that the last glass you pour tastes exactly the same as the first. A bottle of wine is like a ticking time bomb: From the moment the bottle is uncorked, the wine begins to degrade. The longer a bottle sits, the more likely you are to pour its oxidized contents down the drain—and the only bigger shame than wasted wine is wasted revenue potential. Stainless steel kegs eliminate the risk of such waste by taking oxidation entirely out of the equation; constant pressurization prevents oxygen from sneaking in and thus protects the wine’s integrity. This means that two glasses from the same keg poured two weeks apart will taste exactly the same. Free Flow’s stainless steel kegs also eliminate light spoilage and bottle breakage. By avoiding the packaging costs for bottles, vineyards can offer better wines at a lower cost. Those savings are then passed to the operator, who can offer the wines to guests at a better price. “It allows you to pour wines that you wouldn’t otherwise be able to pour, because you don’t have to charge as much,” says Kivelstadt. 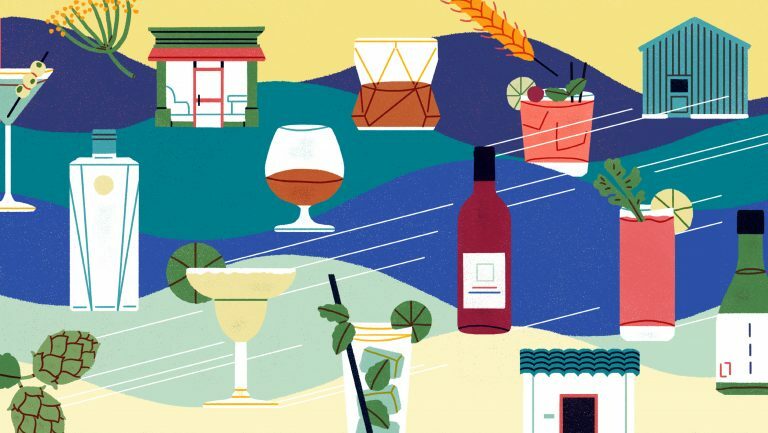 With a range of wines on tap, operators can easily offer samples and introduce new wine flights—improving a guest’s experience while increasing revenue potential. Venues that offer wine on tap substantially decrease their environmental footprint. Each reusable stainless steel keg diverts more than two tons of trash. Kivelstadt estimates that in the eight years since it’s been in business, Free Flow Wines has saved 21 million bottles from piling up in landfills. The numbers don’t lie: Factoring in the elimination of wine waste, increased pouring volume, avoidance of recycling cost, and savings on the cost of kegs versus bottles, converting a BTG system to wine on tap can result in savings of up to $1 per bottle of wine. Free Flow finds that most operators see a return on their investment within six months. Free Flow Wines offers a host of resources at TryWineOnTap.com for operators interested in learning whether wine on tap is a good fit for their venue, including best practices, a guide for operators, and even a downloadable ROI calculator that will estimate ROI for your individual program, as well as your monthly dollar savings and even the number of bottles you’ll save from landfills. 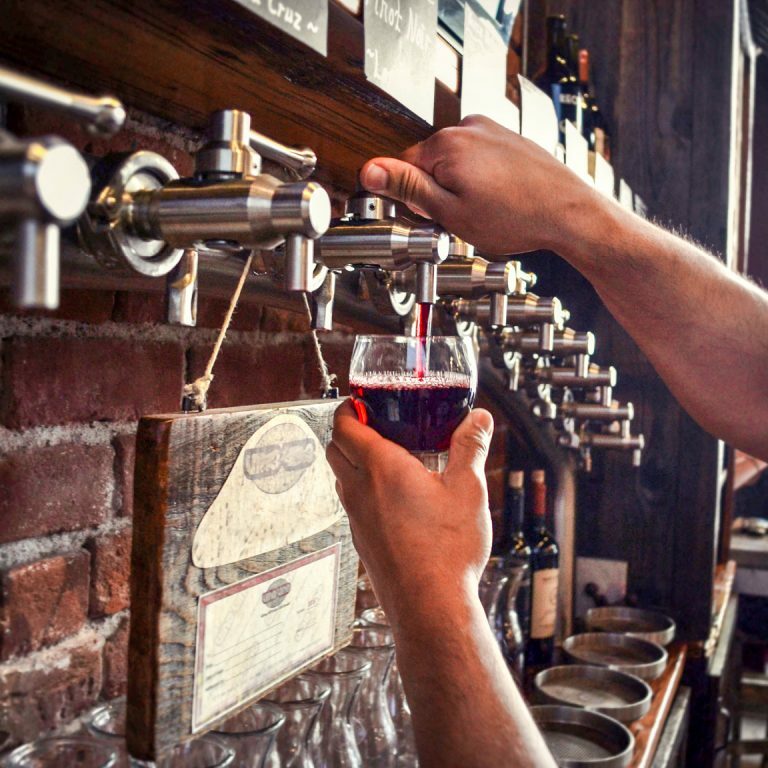 And for operators who want to retrofit their bars without the up-front cost of new equipment, Free Flow’s equipment leasing program makes wine on tap even more accessible. “I think this is going to open up the market substantially,” Kivelstadt says, “because the capital [concern] goes away. 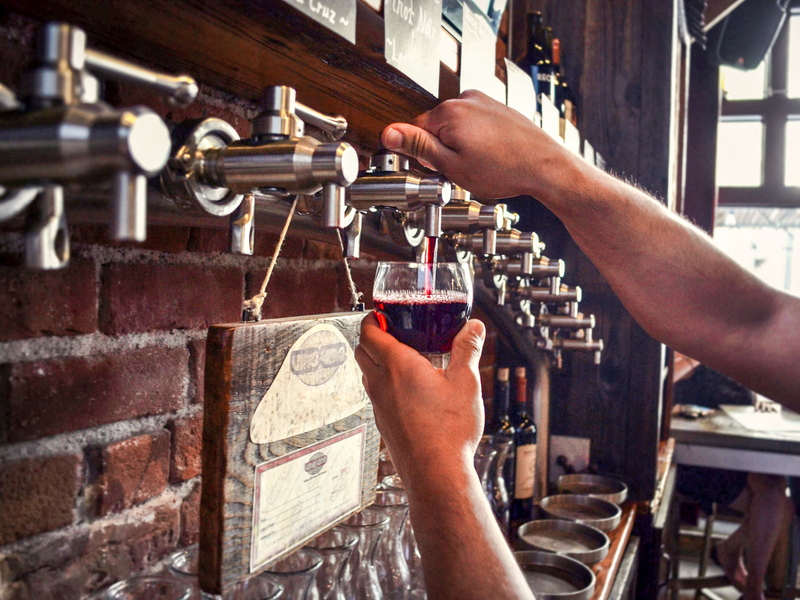 Operators can do this cost-effectively and get rolling with wine on tap very quickly.” Recently, Free Flow helped a new client in Boston convert to taps: the bar added eight wines on tap for less than $3,000, and it recouped its investment in six months. Best of all is that it’s easy to get started. Contact one of Free Flow Wines’ recommended draft technicians in your area to get an estimate. 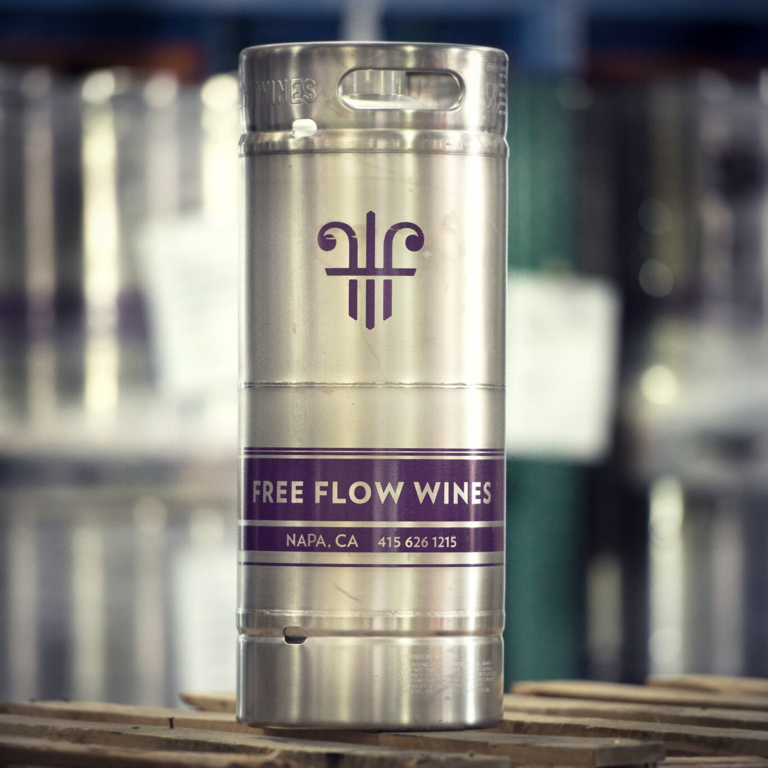 In as little as six weeks, you can have equipment installed and you’ll be able to choose from more than 245 wine brands available in Free Flow’s stainless steel kegs.